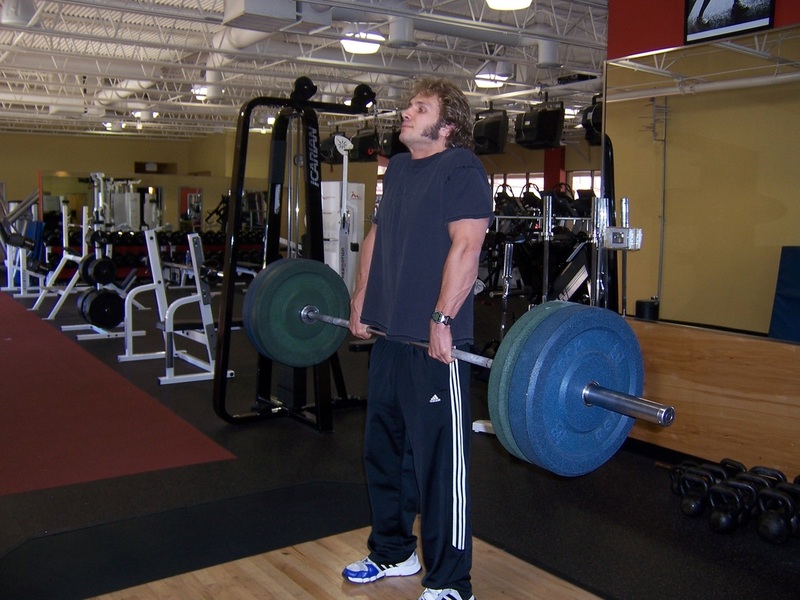 Dallas Personal Trainer - A great exercise for strength in the traps and a favorite of football coaches, bodybuilders, and Dallas personal trainers. Excellent for increasing the strength potential of Power Cleans and Snatches. Pick up a barbell from a rack at about waist height after getting a strong grip on it (do not use wrist straps...they will only make your grip weak). If you need to, you can grip the bar with one hand overhand and the other hand underhand in order to keep a strong grip (like on Deadlifts). If you do this, just make sure that you alternate which hand is underhand and which hand is overhand every other set. 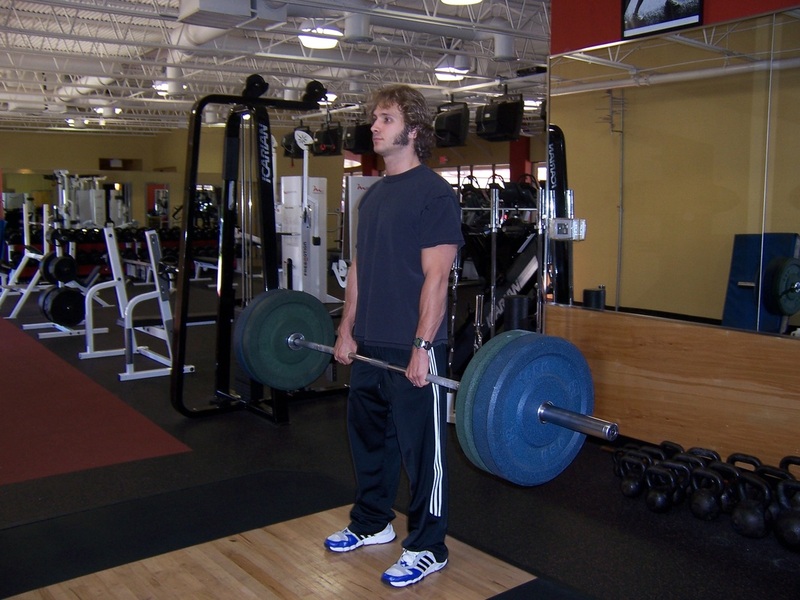 Stand upright with the bar in front of you and get a strong stance. Shrug your shoulders up hard, pulling them up as high as possible. It is okay to let your arms bend slightly when you shrug, but make sure that most of your lifting power is coming from your traps (the muscles between your shoulders and your neck) rather than your arms. After shrugging your shoulders as high as possible, lower the bar and shrug back up again, repeating for the number of reps specified by your workout program. Make sure that you do not lean forward while performing this exercise. Stay upright and hold the bar in close to your body throughout the entire exercise.